Keith Ferrazzi writes that, “The currency of real networking is not greed but generosity“. At some time we have all had to sit through a hard-sell presentation. “Have I got a deal for you!” Let’s face it, there is nothing attractive about that in-your-face model of business development. Our sincere belief is that enduring and truly valuable commercial relationships evolve with time and require mutual trust and respect. The starting point is listening. What is your business about, and do we have synergies that mean that working together would be mutually beneficial? Our professional reputation is at stake by the people who we recommend to you, and so we will only recommend to you people whom we respect. 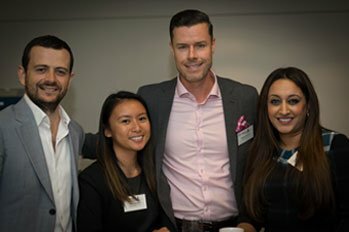 We are committed to creating opportunities for our clients to meet and network. We act for some great clients and individuals, and more often than not, when we all get together, there are many good things to discuss and share, which are of mutual benefit. Sometimes this will lead to paying work, but more importantly, it will always lead to increased understanding and the opportunity for each of us to improve our own businesses. All that this approach requires is that we are generous with each other’s time, and that we value each other. Our flagship event each year is “Insights.” This all day event, which is held at the Pullman Hyde Park, allows an opportunity for thought leaders in business whom we respect, to share their insights on how to do business better, and how to make the most out of new opportunities in the marketplace. 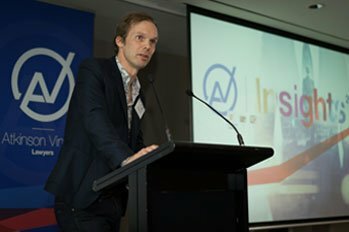 We always ensure at Insights that there are many opportunities for business owners to talk to one another, often via group activities at each table, as well as over lunch and cocktails at the end of the day. 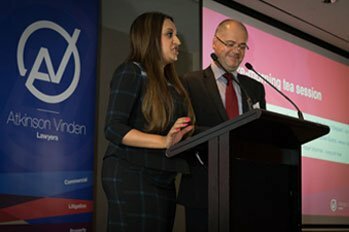 We also have networking lunches and drinks events throughout the year. We also hold a number of boardroom lunches where we bring together clients with mutual interests to discuss industry developments. By participating in these various events, participants always meet others with mutual interests and come away richer for the experience. 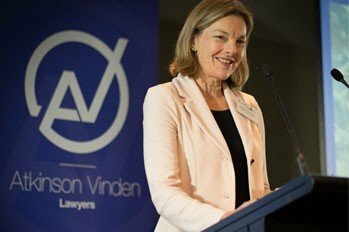 If you would like to get involved in some of our networking events, please email Janice Martin on jmartin@avlawyers.com.au, and she will make sure you receive updates as events come up. 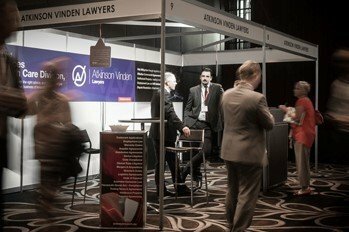 View our collection of current events for insight into Atkinson Vinden’s networking opportunities.